Does ‘Clean’ Coal Power Exist? Can using so-called “clean” coal to generate power eliminate concerns about dirty air? As lung cancer has practically become the new national illness, how will Taipower’s new Shen’ao coal-fired power plant impact air pollution and health? Taiwan’s Environmental Protection Administration (EPA) recently approved an environmental impact assessment for the construction of a new coal-fired electricity power plant proposed by Tai Power Co. (Taipower) in Shen’ao, near Ruifang Township in New Taipei City. The proposed project involves the construction of two coal-fired 600-megawatt (MW) generators. 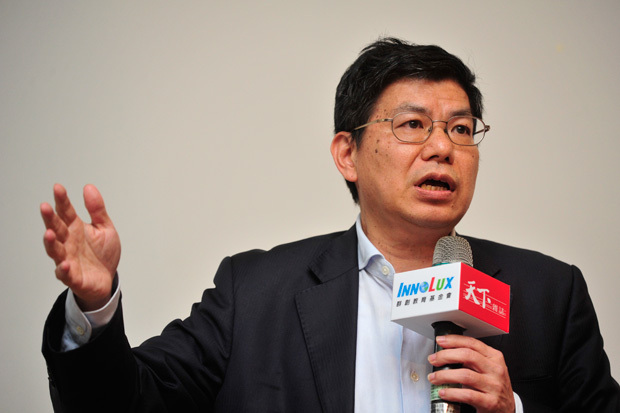 Premier Lai Ching-te has said that the new Shen’ao units will use “clean” coal thanks to their ultra-supercritical generators, which are claimed to emit a comparable amount of pollution to that of natural gas. Beyond the premier’s assurances, how much of an impact will the construction of two new coal-burning generators in Shen’ao have on atmospheric pollution? And is there really such a thing as “clean” coal? Even though Taipower’s Shen’ao coal-fired power plant will employ ultra-supercritical coal burning technology, citing the example of the ultra-supercritical plant that Taipower recently completed in Linkou, Tsuang notes that emissions of various pollutants far exceed those of Taipower’s Datan electrical power plant, which uses natural gas. According to Tsuang, coal-burning power plants can produce up to 100 times the pollutants compared to natural gas. Is the proposed Shen’ao plant really a clean coal-burning power plant? “These days there are still those that say there are less dirty coal-fired power plants. But let’s stop struggling with this - it’s a poor method of power generation. Atmospheric pollution is a type of illness. One out of every five Taiwanese females who contract cancer have lung cancer, many of whom are not smokers. The nationwide impact of such illnesses cannot be overlooked. What’s more, we cannot overlook the fact that not only can air pollution cause lung cancer, it can also cause ischemic heart disease, strokes, and chronic lung ailments. Eight hundred deaths each year in Kaohsiung can be attributed to air pollution-related illnesses, and over 300 in Yunlin County,” asserts Chang-chuan Chan, Dean of the College of Public Health at National Taiwan University. Just how much pollution will be emitted following the construction of the Shen’ao power plant? According to Taipower’s own assessment report, even if Taipower utilizes the world’s latest ultra-supercritical generators, and invests one-third of the construction budget on pollution mitigation measures, while lowering the units’ capacity from two 800-MW generators to two 600-MW units, the newly constructed Shen’ao coal-burning power plant will put out 268 metric tons of particulate matter (including PM2.5) annually, and over 1,000 metric tons of sulfur oxides and nitrogen oxides, both of which can cause serious damage to the human respiratory system. Then there is the emission of heavy metals and carcinogens. Tsuang notes that coal-burning power generation produces dioxin, arsenic, and heavy metal emissions. Previous studies have found that when the old (demolished in 2010) Shen’ao power plant was in operation, the esophageal and lung cancer rates for Shen’ao and nearby towns and villages markedly exceeded the national average. Yet the environmental assessment report for the Shen’ao power plant, incredibly, included no information on heavy metal emissions, making it impossible to evaluate the potential effects. Taipower explains that, in order to reduce the output of such heavy metals as mercury, Taipower purchased coal containing less than 0.12 mg/m3 of mercury, stricter than the 0.15 mg/m3 and 0.60 mg/m3 standards adhered to by Japan and China, respectively, while also explicitly reserving the right to refuse to purchase batches exceeding the 0.40 mg/m3 standard. As for heavy metal output, Taipower will use high-efficiency particle dust-mitigation equipment to scrub 80 to 90 percent of heavy metal output. With each side giving their side of the story, the crux of the issue is that the government wants to build a coal-burning power plant, yet does not mandate that Taipower and other coal-burning plants disclose the estimated volume of heavy metals and other pollutants emitted. The scope of atmospheric pollution emitted once the Shen’ao facility becomes operational is also a matter of dispute. This is due to discrepancies in modeling methods, topographical conditions, and sampling between the pollution simulation reports prepared by Taipower and by Professor Tsuang on behalf of the New Taipei City Environmental Protection Bureau. Tsuang reckons that the spread of air pollution will cover the Greater Taipei, Taoyuan, and Yilan regions, while Taipower’s report asserts that, while Taipei, New Taipei and Taoyuan will be affected due to topographical conditions, the impact on Jiufen and Yilan will be limited. Due to different research methodologies, the projected scope and numerical values differ by a magnitude of three. The problem is that discussion of the impact of atmospheric pollution in northern Taiwan cannot be limited to just Shen’ao. Tsuang relates that, when the Shen’ao power facility becomes operational, it will sandwich the Greater Taipei region between the Shen’ao plant and the existing coal-fired Taipower plant in Linkou. Combined with the heat island effect over the Greater Taipei metropolitan area, this will cause the degradation of air quality across the metropolitan area. For these reasons, air pollution experts and public health scholars like Tsuang and Chan recommend that the Shen’ao plant switch to natural gas in place of coal. According to Taipower’s own projections, following the decommissioning of the Hsieh Ho power plant near Keelung, a natural gas receiving station can be constructed in the Port of Keelung, and the Hsieh Ho plant converted to natural gas power generation. A dedicated undersea natural gas pipeline can then be run to Shen’ao, thus converting the Shen’ao facility from coal to gas. 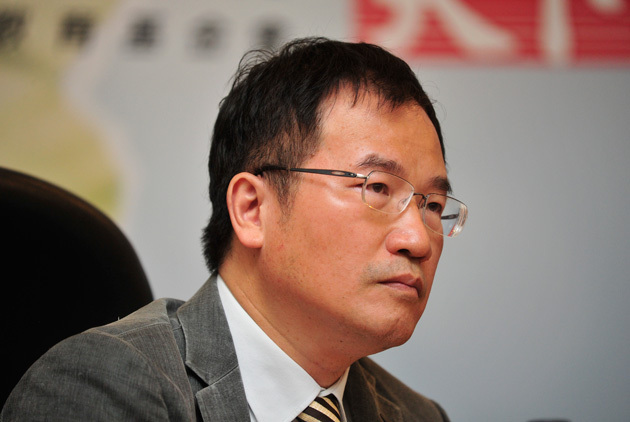 “If there is no other option, then the coal-fired Shen’ao power plant should be built as a reserve, and wait until natural gas generation is insufficient before going into operation,” asserts Tsuang. ♦ Go Get a Lung Screening Immediately, Even If You Don’t Smoke!